What is CBS telling us: “In The Line Of Duty” – After U.S. Ambassador Nancy Kelly narrowly escapes a terrorist attack at the U.S. consulate in Tunisia, Callen and Sam are sent on a secret, dangerous mission to obtain key evidence from the crime scene. 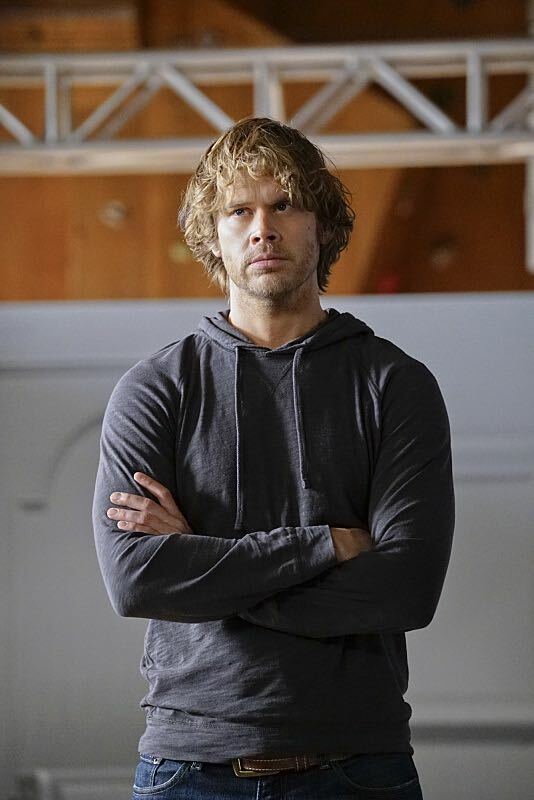 Upon their return, the team seeks Kelly’s help to provide missing information, on NCIS: LOS ANGELES, Monday, Jan. 19 (9:59-11:00 PM, ET/PT) on the CBS Television Network. Julie Chen, host of THE TALK, guest stars as U.S. Ambassador Nancy Kelly. What we think is happening: Well besides being the cross-promotion go-to team at CBS (Hawaii Five-0, Scorpion, now The Talk), the Los Angeles NCIS team is working with the FBI to find out who killed security personnel protecting US Ambassador and Big Brother host Julie Chen. Sam knew one of the dead men from their time in the Navy. This looks to be a team-oriented episode. According to the sneak peek, there is an FBI agent and Julie Chen in the NCIS gym. That gym has had more outsiders wandering around this season than all the five seasons combined. You had the lady DoJ investigator who was on furlough from Under the Dome along with her minions, Mattias and now a random FBI guy and the host of Big Brother. This is a worrisome turn of events for some super-secret government facility. It was so much better when Deeks was the only outsider there and Callen was freaking out when Lauren Hunter let a stranger in the building. The host of Big Brother and The Talk. Franklin played Agent Sachs on NCIS. He was Fornell’s #2 who often clashed with Tony. The random FBI guy hanging out in places he doesn’t belong! Get thee to the boat shed! Pick a name, my friend, pick a name! Tory Berner (Receptionist) Tory is Chris O’Donnell’s niece. Clemente wrote “Blood Brothers” and “Free Ride” and works as a technical consultant to the program. Gaviola directed “Blood Brothers”, “Overwatch”, “Betrayal” , “Rude Awakenings” Part Two and “Merry Evasion”. A similar photo shows up on Franklin’s Twitter account with LL Cool J and some rather rough looking make-up for Franklin. Eric Christian Olsen, Julie Chen and Daniela Ruah announce her appearance on NCIS: Los Angeles during The Talk. In the sneak peeks, everyone looks to be all business, even if there are strangers in the gym! Eric Christian Olsen had a short clip from the episode during his The Talk late night interview on Thursday where Kensi and Deeks were examining evidence wearing magnifier eyeglasses. Deeks made a Mr. Magoo joke which Kensi didn’t get. There was banter about Magoo being before Kensi’s time, cartoons and vintage animation. You are so right about the gym, and Ops in general being overtaken by outsiders this season. And what’s with the funky fake white fancy backdrop in the photo above? Have they set up some sort of kill house to practice an op there? Or is it better for ballroom dancing practice? And while I hated “Blood Brothers,” I really liked “Free Ride,” so I guess we’ll have to see what Mr. Clemente comes up with for script #3. The funky white backdrop is a recreation of the crime scene through 3-D printers because the crime scene is inaccessible. And yes, way too many strangers in the gym! “Blood Brothers” was a good idea but a little heavy-handed in the story telling. “Free Ride” was fun and interesting – big fan of the forensic botany. Looking forward to tonight’s epi😄. And I agree about the gym. I’ve been wondering why they are all still at the mission. It appears that the location has been compromised with Mattias, the DOJ investigators, the mole and other outsiders. They need to relocate. That’s the whole purpose of having the boat shed. Puzzling.